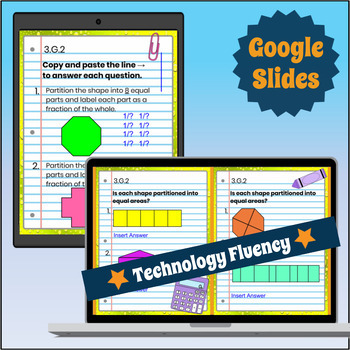 This 3rd grade Google Classroom interactive notebook provides guided instruction, example problems, and quick references aligned with common core standard 3.G.2: Partition Shapes into Equal Areas. 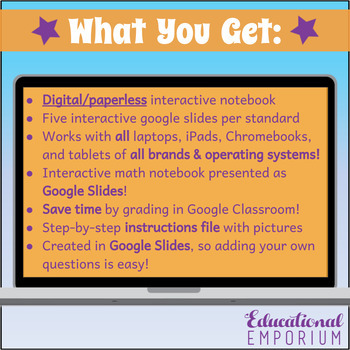 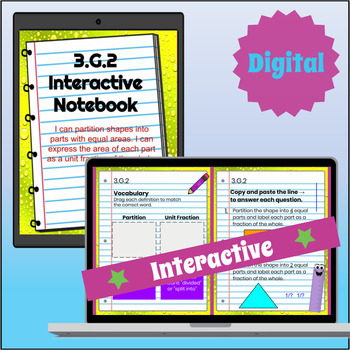 Now you can get all the interaction and engagement of interactive notebooks without all the mess of cutting and pasting and the hassle of lost papers. 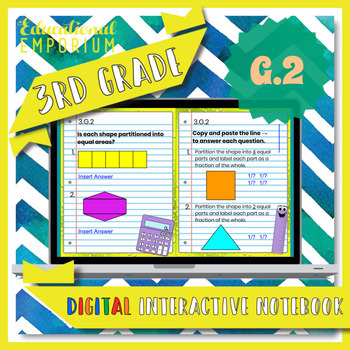 Looking for more 3rd Grade Geometry Interactive Math Notebooks in paperless, Google Classroom format?